Industrial vacuums have existed in one form or another for more than 100 years. 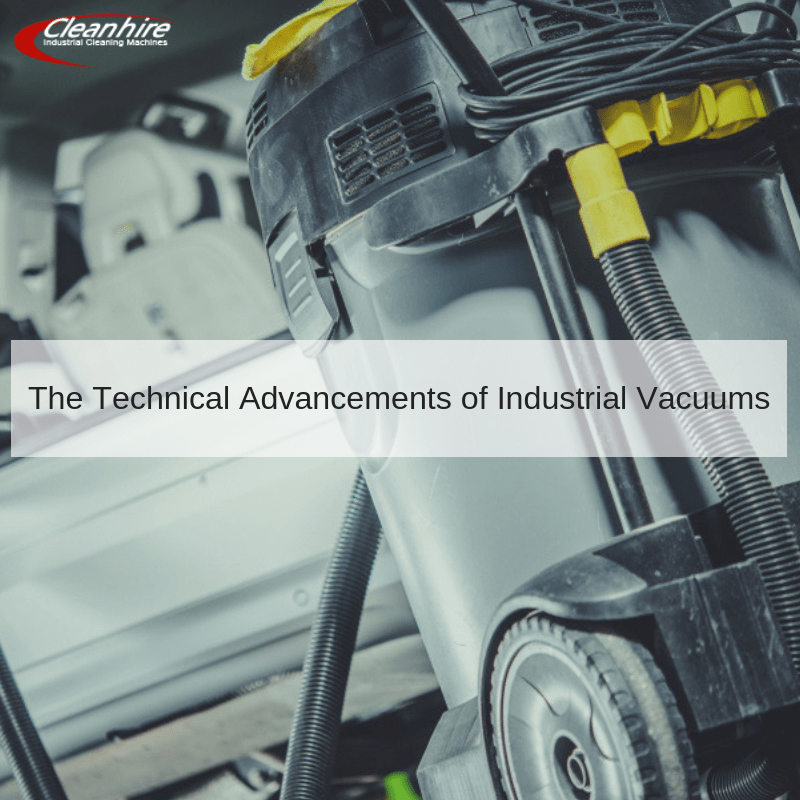 Like most mechanical devices which have remained in the public eye for decades, we often take the technology associated with these vacuums for granted. However, there is no doubt that such units have advanced incredibly over the years. This is one of the reasons why they serve a number of important applications within commercial and industrial environments. Let’s take a quick look at how these vacuums employ modern technology. Companies which provide professional industrial vacuum cleaner hire in the 21st century are at a distinct advance when compared to their past counterparts. This is mainly due to the reduced weight associated with these units. Stainless steel and iron have largely been replaced in favour of composite materials; greatly increasingly the user-friendly nature of industrial vacuum cleaners. The same holds true in regards to aluminium engines and fewer internal connections. The lightweight nature of these units has also helped to reduce costs; allowing firms to save money over time. The distance from the cleaner to the floor. The turning radius (in some cases). The temperature of the cleaning solution. When these amenities are then combined with a host of power-saving options, it becomes clear why industrial vacuum cleaners are here to stay. One of the drawbacks associated with older units is that they lacked the flexibility to deal with discrete environmental settings. Thus, businesses would have to purchase multiple cleaners or sacrifice a clean work space. The flexibility attributed to modern unit leaves little to chance in regards to its applications. In the event that a specific design is warranted, it can be hired out when necessary. Clean Hire is a perfect example of the synergy between efficiency and technology. Customers can select from a variety of bespoke solutions and all units are competitively priced. If you would like to fully appreciate the amount of options at your disposal, please contact one of our representatives directly.